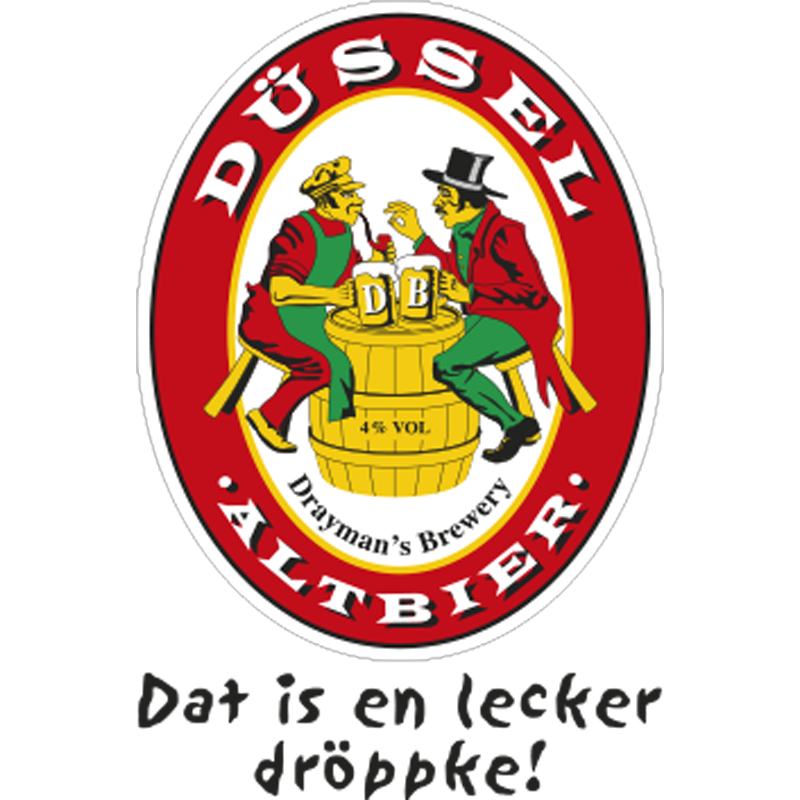 At Drayman’s Brewery I brew Düssel Altbier to have an appetizing and brilliantly clear copper-red colour topped by a dense, white, rocky head. 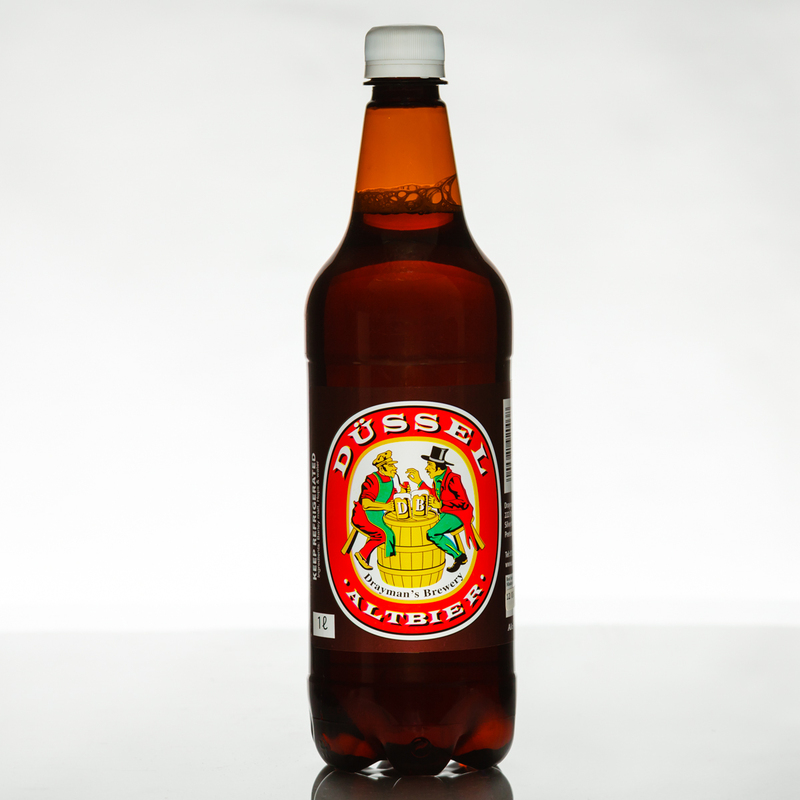 Düssel Altbier has a clean, deliciously aromatic, maltiness, combined with a pronounced but not overwhelming hoppy bitterness (32 BU’S) from the noble Tettnanger hops. The fruitiness of the top fermentation is restrained by both the German yeast strain and cool fermentation. To call a beer an Altbier simply because the brewer combined warm-fermentation with cold-maturation is grossly ignorant. Brewing a classic Altbier is far more complex than that. For me it was not enough just to brew an Altbier that broadly fits the category. It has been documented that imitators of the style outside Düsseldorf rarely match the beautiful balance, roundness and smoothness of these brews. It was exactly this statement that challenged me to brew the ultimate Alt – and then to constantly keep perfecting my brewer’s art until the best critics (the Düsseldorf drinkers) are speechless! Altbier is a style of German ale with its own, unique and very distinctive character. Altbier dates back to the time before the emergence of cold-fermented golden lager. The “old” (Alt) tradition of top-fermentation retained a stronghold in Northern German cities like Münster, Hanover and of course Düsseldorf. 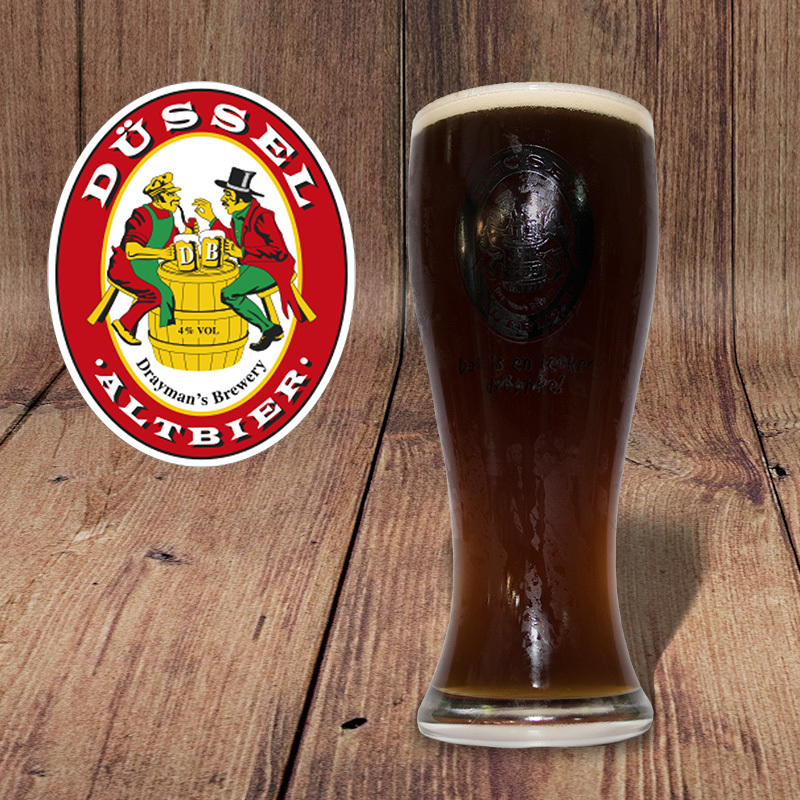 Inspired by the tasty, hoppy Altbier from the delightfully named brewpubs in the Old Town of Düsseldorf like Zum Uerige, In Füchschen and Zum Schlüssel, I set out to design an Altbier I believe is worthy of the name Düssel Altbier. My own interpretation of the meaning of the name is: faithfully brewed to the Düsseldorfer style. The well attenuated, dry finish is achieved by a thorough stepped infusion mash that lasts a full two and a half hours! The smooth malt palate comes from less intense cold-conditioning at 6°C for ten days. Available only as fresh unpasteurized “tapbier” and at only 4% alc. It makes for a highly sociable brew in the hot South African climate. All that remains is my quest to find the ultimate restauranteur that is willing to teach his waiters to serve the beer in the correct 250ml Altbier glass and his patrons to accept this tradition of a fresh Altbier regularly arriving at the table without the need for re-ordering. A beer mat placed on top of the glass will eventually stop the process!